This collection brings together a set of specially commissioned chapters from leading international researchers in the psychology of reasoning. Its purpose is to explore the historical, philosophical and theoretical implications of the development of this field. 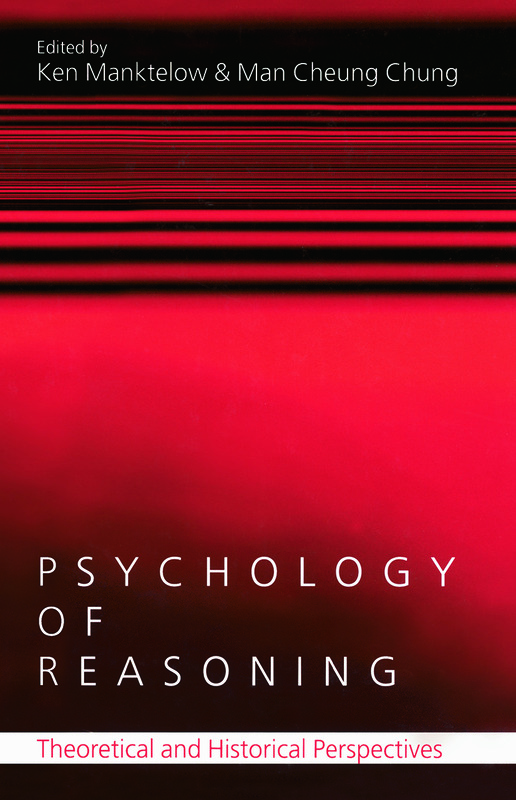 Taking the unusual approach of engaging not only with empirical data but also with the ideas and concepts underpinning the psychology of reasoning, this volume has important implications both for psychologists and other students of cognition, including philosophers. Sub-fields covered include mental logic, mental models, rational analysis, social judgement theory, game theory and evolutionary theory. There are also specific chapters dedicated to the history of syllogistic reasoning, the psychology of reasoning as it operates in scientific theory and practice, Brunswickian approaches to reasoning and task environments, and the implications of Popper's philosophy for models of behaviour testing. This cross-disciplinary dialogue and the range of material covered makes this an invaluable reference for students and researchers into the psychology and philosophy of reasoning.